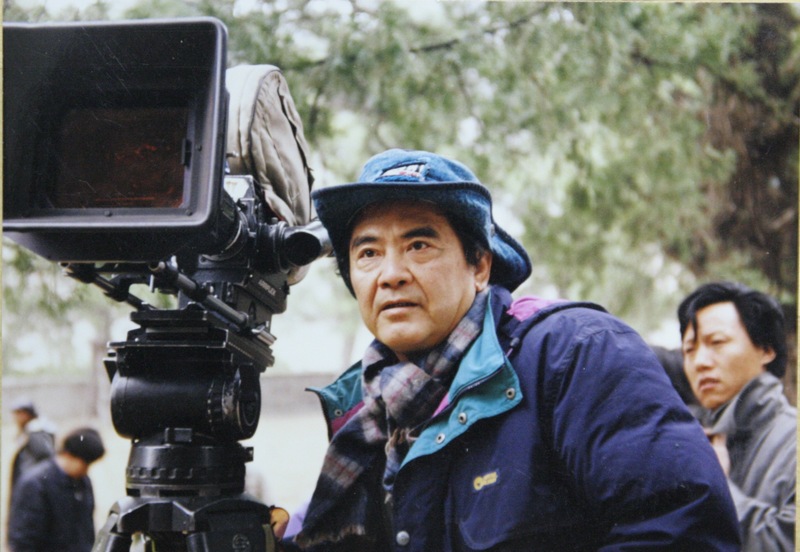 King Hu (simplified Chinese: 胡金铨; traditional Chinese: 胡金銓; pinyin: Hú Jīnquán) (April 29, 1931–January 14, 1997) was a Hong Kong- and Taiwan-based Chinese film director whose Wuxia films brought Chinese cinema to new technical and artistic heights. His films Come Drink with Me (1966) and Dragon Gate Inn (1967) inaugurated a new generation of wuxia films in the late 1960s. He was also a scriptwriter and set designer. After moving to Hong Kong, Hu worked in a variety of occupations, such as advertising consultant, artistic designer and producer for a number of media companies, as well as a part-time English tutor. In 1958 he joined the Shaw Brothers Studio as set decorator, actor, scriptwriter and assistant director. Under the influence of Taiwanese director Li Han-Hsiang, Hu embarked on a directorial career, helping him helm the phenomenally successful The Love Eterne (1963). Hu's first film as a full-fledged director was Sons of the Good Earth (1965), a film set during the War of Resistance against Japan, but he is better remembered for his next film, Come Drink With Me (1966). Come Drink With Me is his first success and remains a classic of the wuxia genre, catapulting the then 20-year-old starlet Cheng Pei-pei to fame. Blending Japanese samurai film traditions with Western editing techniques and Chinese aesthetic philosophy borrowed from Chinese music and operatics, Hu began the trend of a new school of wuxia swordplay films and his perpetual use of a female heroine as the central protagonist. Leaving Shaw in 1966, Hu travelled to Taiwan, where he made another wuxia movie, Dragon Gate Inn. Dragon Gate Inn broke all box office and became a phenomenal hit and cult classic, especially in the Southeast Asia. This tense tale of highly skilled martial artists hidden in an inn in part resembles Crouching Tiger, Hidden Dragon and was said to be the inspiration behind it; Zhang Yimou's House of Flying Daggers was also said to be dedicated to this film. In 2003 the award-winning Malaysian-born Taiwanese auteur Tsai Ming-liang made Goodbye Dragon Inn, a tribute to King Hu in which all the action takes place during a closing cinema's last show of Dragon Gate Inn. Though critically hailed, Hu's later films were ostensibly less successful than his first two films. Late in his life, he made a brief return from semi-retirement in Swordsman (1990) and Painted Skin (1993), but the latter never achieved the renown of those two, financially successful wuxia films. King Hu spent the last decade of his life in Los Angeles. He died in Taipei of complications from angioplasty.